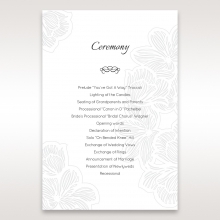 Your floral wedding will be perfectly represented with this beautifully delicate gatefold invitation. 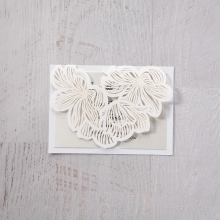 White pearl, high quality cardstock with a slight texture is used to make the enclosure, holding the intricate cutwork nicely, ensuring it maintains its shape. The insert is also pearlized. 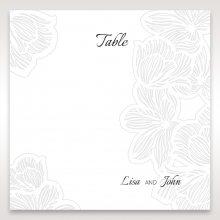 You can order from our selection of over 40 colors for the insert with your wedding details. 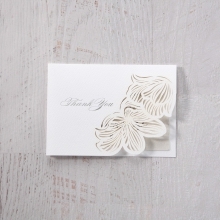 A colored insert provides even more interest as the colors peek through the details in the laser cut. The petals of the flowers themselves gracefully link together to close the "gate". 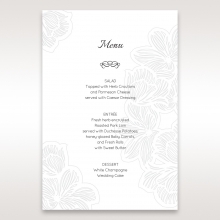 Wedding details are printed in raised ink, with your choice of wording fonts, and layout. 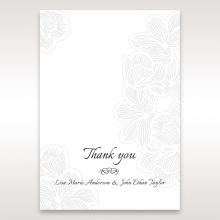 Cover PAPER: White Pearl Texturised 260 GSM. Not Customisable. I ordered this sample, and I love it! 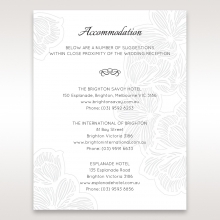 It truly is great quality in person, which is so comforting to know that my invitations will look well made. I have tried many other sites, and this one is my favorite. I ordered 4 samples and it's hard to choose. I actually want to see this one in the gray color so I ordered another sample of that one. 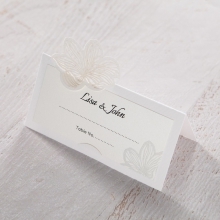 The pearlized paper is my favorite part, so pretty! This one is so unique and stands out. The detail of the flowers is incredible. 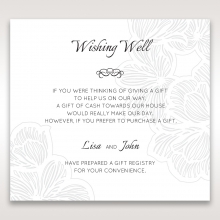 Love this invitation. My dress is a cream elegant and simplistic dress without lace. 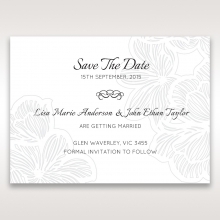 So this works best for me rather than the lace style pocket invitations. 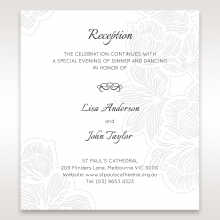 This invitation reflexes my colors and look of a white and gold elegant look. 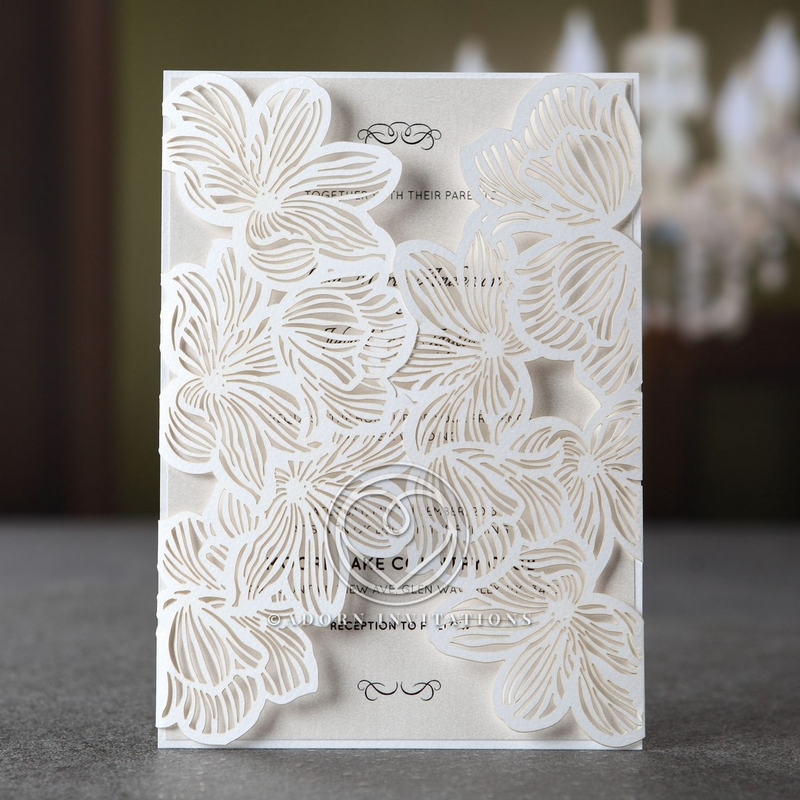 The laser cut-out flowers on a high quality paper and the raised ink on the invitation brings it up to another level of high quality. 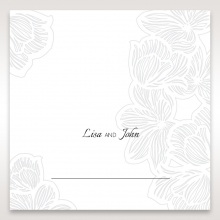 Having our name and date showing through on the cover makes it so custom looking. truly stunning! I was really pleased when I received these and I couldn't stop staring at them and couldn't help but get really excited to send them out. They look so elegant and chic and the craftsmanship was superb. I got so many amazing feedback from my family and bridesmaids saying how amazing my invitations look. 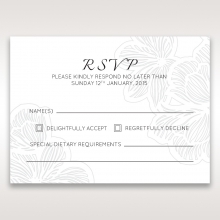 I had a friend cancel her order from another place only to order her invites from here.